Mountain bikes are the most common types of bikes you are likely to see in India. It’s not just because they are ideal for the poor Indian roads but also because most of us love riding on different terrains. An affordable mountain bike will be good enough for easy trails and off roads, but if you like it rough, be prepared to spend a good fortune. High-end mountain bikes are designed for riding under more rugged conditions and will take the beating in the woods or on rocky trails. · Take a lot of stress and abuse and allow the rider to comfortably manoeuver rugged terrain. But before we get there, you might want to read our list of the Best MTB cycles Under INR 10000. If off roading is what you truly enjoy, ensure to get a good riding partner like the mantra rock 650B HD. Riding unpaved roads with this beauty will be surely exciting. The Montra 6061 alloy frame is strong and aggressive and comes with Hydraulic disc brakes. The bike also comes with a front suspension and Shimano doer gearing that lets you ride smoothly and ensures good shifting on off roads. Ghost bicycles offers the 4x comp in India at a low price. However, it is available only in one six and two colours. 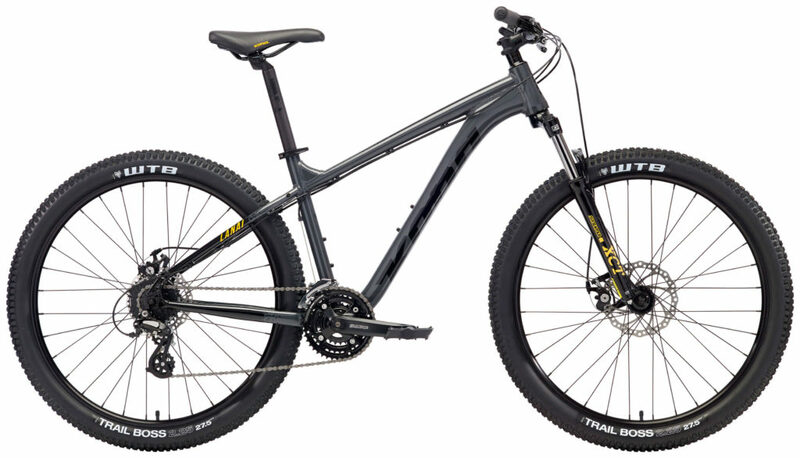 The hardtail comes with a 24 speed Shimano drive train, tektro hydraulic disc brakes. With this bike, you can go trial biking whenever you wish. 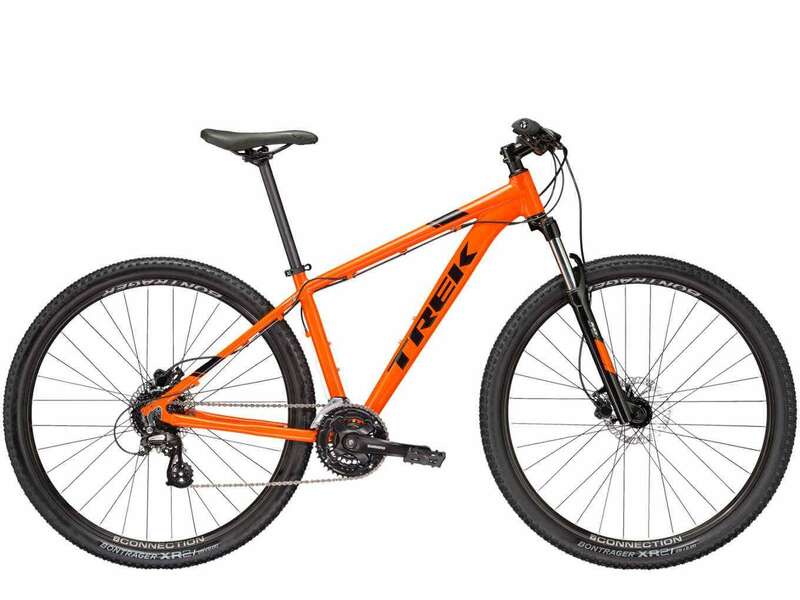 Engineered to tackle steep descents and heavy climbing, the Trek Marlin is a 29er that is equipped with Hydraulic disc brakes offering excellent braking. On the overall, this bike offers comfort and is suitable for challenging trail rides. If you’re an amateur mountain biker and are looking at a mid-level bicycle, consider looking at the Raleigh talus. The 29er comes with Hydraulic disc brakes, Shimano Acera 9 speed gearing great tyres that provide both grip and stability. However, the raised front end also makes the bike ideal for comfortable city riding. Read about the different types of cycles in India. 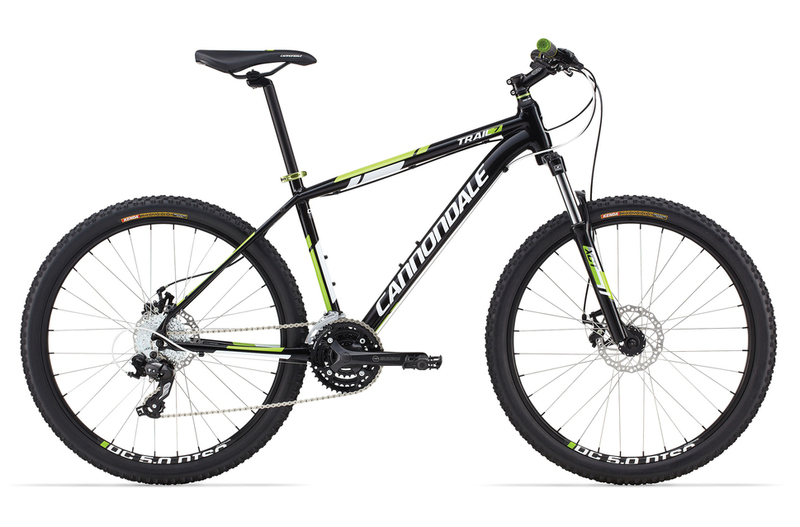 With its progressive geometry, impressive construction and high-end features, the cannonade trail 7 offers unreal performance and killer value. If you are looking for a bicycle that offers great performance and upright position, Trail 7 is your answer. The 29er also comes with flattened SAVE chain stay and slender seat stay that are designed to work in combination to give a more comfort trail riding experience. The Big Nine comes with a strong and lightweight frame. It is also equipped with Promax MTD Mechanical disc brake and 29 x 2.2 tyres that makes it perfect to roll over potholes and off-road riding. The bike also comes with Shimano Altus group set that combines together to give you a seamless gearing experience on the trails. Fuji has been around for quite some time now. Nevada is an impressive MTB that Shimano Acera groups, SR sun tour suspension fork and front and rear disc brakes at INR 36,990. The Aspect 650 comes with a durable frame, hydraulic disc brakes and Syncros components, that is reasonably priced. This makes it the perfect MTB bicycle for the novice on a low budget. One of our personal favourites are the bicycles made by Kona. The Kona Lanai comes with 26-inch wheel size for smaller riders, while the rest of the line hits the trail with a 27.5-inch wheel. Whether you are looking to ride on gravel paths, light singletrack or just getting around town, the Lanai is your entry to adventure. If you’re looking for a 29er that comes with front and rear disc brakes, Shimano Altus components, the GT is what you should be looking at. Big wheels paired with a lightweight and agile frame will give you even more reasons to go off roading. If you are looking for a bike that is ideal for everyday riding, Kona Lava dome is a smart choice. Based on a renowned XC frame that is light, durable and fun, the Lava Dome, with its big 29-inch wheels, is just as capable on trails as it is bombing around banged-up streets. Consider this your SUV of the bicycle world. The fire mountain, that’s what they call it. The bike comes with singletrack-worthy components and a size-specific wheel selection, that is ready to start anyone down the single track life. The Btwin Rockrider series is certainly a hit. The bikes are well designers and come with some of the best features. The 540 is one of them that is baked with hydraulic forks with lockout, 27 speed SHIMANO Altus gears, HAYES Radar hydraulic discs and more. If you’ve the budget, do head to the nearest Decathlon store and try it out. Those of you looking for a basic or intermediate bicycle riding, opt for the Giant Revel 1. The bike seems to be a good mix of comfort, weight, pricing offering a good all round experience. 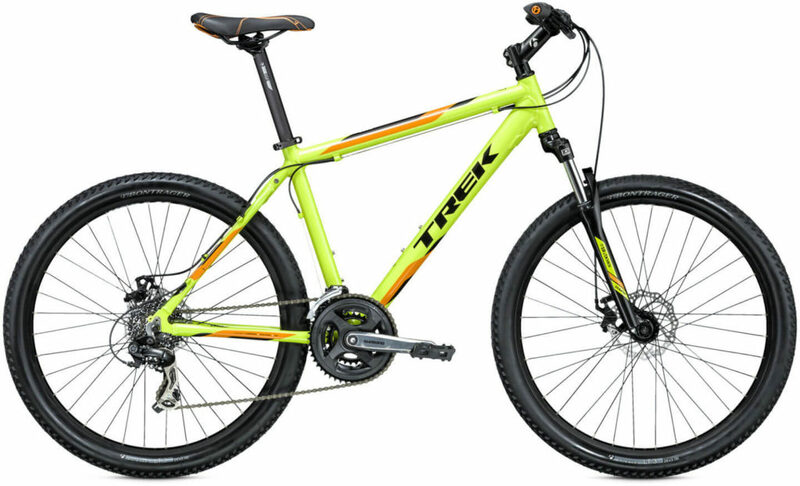 If you’re looking for a good and reliable best mountain bike for the money, the Trek 3500 is your answer. This bike is suitable for an avid MTB enthusiast just looking for something to get about on the trail. Just a little above INR 50000, you can get your hands on the Rockrider 560. The bike comes with a light aluminium frame, Rockshox fork, and suspension lockout. The bike also comes with SRAM X5 and much more. You can read about it on the official Decathlon India’s website. If you think we have missed any MTB cycle under INR 50000, comment below and let us know.